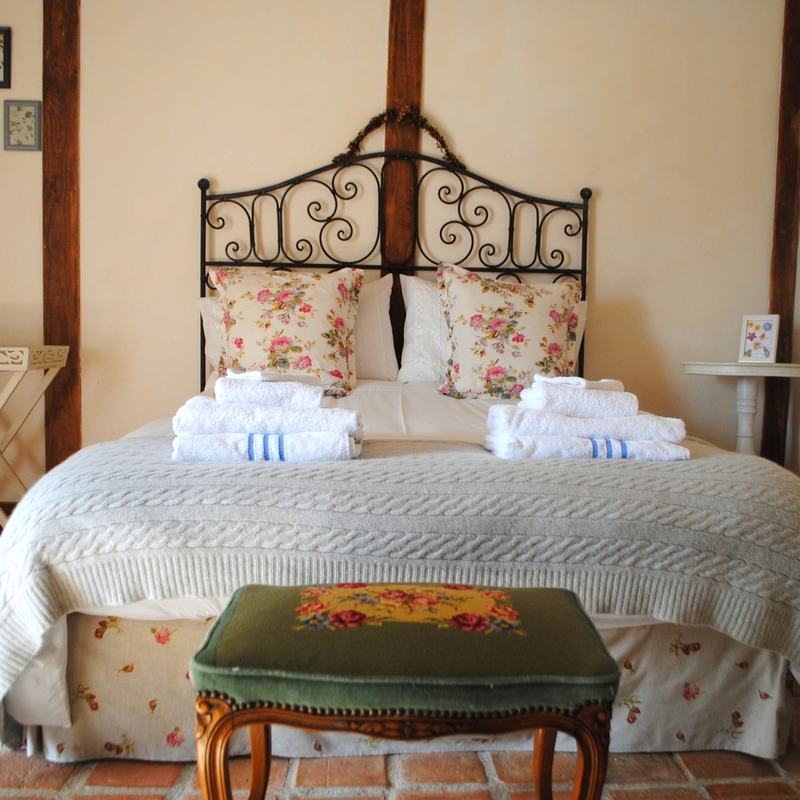 Manoir La Croix de La Jugie is a rural retreat away from it all. Set in rolling countryside, the perfect place to come up for air. Manoir La Croix de La Jugie is our beautiful 18th century family manor house, overlooking a stunning valley, our undulating six acre estate and the rambling, creeper-covered country pile are your haven for the week. The Manoir used to be the manor farm for the hamlet, and whilst the original farmland has long since been sold off, our lawns, field, meadow, woodland and orchard provide a calming setting for gentle strolls, little ones' playtime and peaceful reflection. 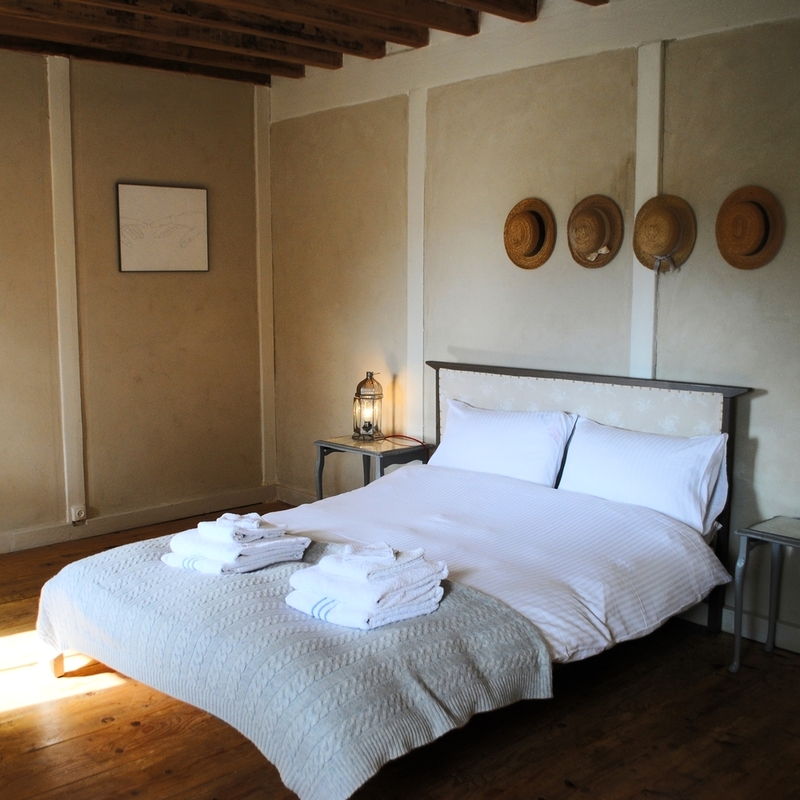 The Manoir's history is evident in the impressive barn attached to the main house, the Bergerie Cottage, which was the old sheep shed, and the stables, giving us plenty of areas to use for fitness classes both in and outdoors. There are beautiful character touches throughout the house, with grand old beams, stained glass windows and a quirky layout crying out to be explored. Meals are enjoyed communally in the huge kitchen, on the kitchen terrace or under the covered terrace when the sun is high overhead. The Grand Salon is the perfect place to relax and chat with fellow retreaters and there are plenty of other hidey-holes if you just want to be on your own for a while. Check out lajugie.co.uk for more information. There are eight bedrooms and six bathrooms in the Manoir, but we limit retreat families to five so there's plenty of space for everyone. You'll each have your own large bedroom (plenty of room for all your stuff!) and ensuite or private bathroom with comfy beds and lovely toiletries. We also make sure each room has a travel cot, baby bath, changing mat, baby monitor and nightlight. We also provide plenty of towels (bath and pool), bed linen and nappy sacks for those never-ending changes. We're sure they'll be some laundry to be done during the week too, and we have two washing machines and a tumble dryer to cater for everyone. Outside, we have six acres for you to explore, including a field of long grass with enchanting winding paths mown through it, a copse overlooking the valley, a small orchard (collect apples and chestnuts if you're here in the right season), a flattish field for kicking a football around or shuttle runs, and a lawn and heated pool for relaxing. When the sun's not too hot, go for a wander with new friends, your partner or just on your own; read in the field looking across the countryside, have a nap, hop in the pool or throw a ball around. Fitness sessions will make the most of the outside spaces, especially in good weather - where better to fill your lungs with sweet fresh air? There's plenty of space to eat outside too, so when baby's down, you can enjoy the crickets in the candlelight with the rest of the group. We provide sheets for cots, but find that babies tend to be very particular about what they sleep in. The manoir is a rambling family home, and we have a young child ourselves, so we try to make things as child-friendly as possible. The pool is fenced, with a child-safe cover and stairgates are in place if you have a toddler in tow. Visit lajugie.co.uk for more information.